When more than a dozen business leaders in Missoula’s tech sector sat down with top University of Montana administrators this week to explore a stronger partnership, a common theme emerged. Amid discussions on scaled internships, enhanced career fairs and training across disciplines, nearly all agreed that collaboration between the flagship institution and Missoula’s tech sector has room to grow. 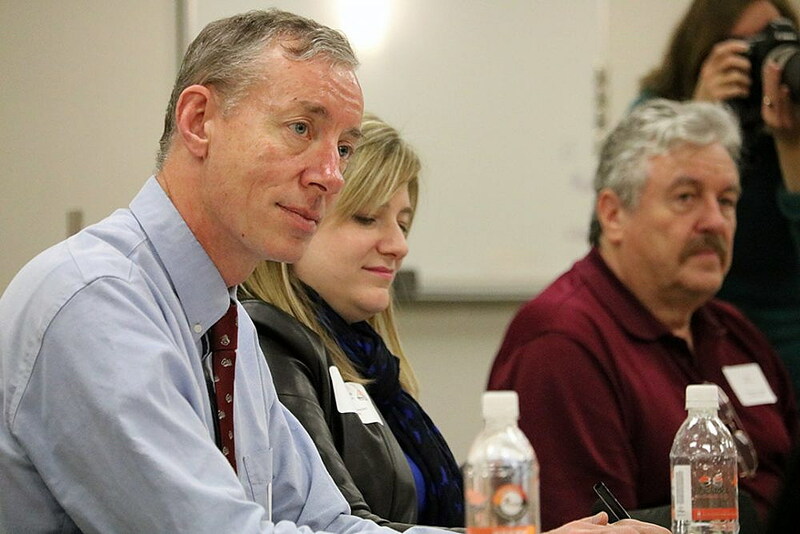 “By shining a light on these bright spots and success stories, it gives these new administrators at UM stories they can tell as they’re working to grow the university,” said Christina Henderson, executive director of the Montana High Tech Business Alliance. “We can also discuss ways to do more, and find opportunities to partner and improve things as a mutual benefit for this (tech) industry and the university,” she said. Montana’s tech sector has grown nine times faster than the state economy in recent years, and jobs in the industry now pay twice the state’s average wage. Last year, Henderson said, the industry netted a record $1.9 billion in Montana. But as the tech sector grows, companies in Missoula have struggled with recruiting skilled talent. While several companies enjoy a strong relationship with UM and have amassed a proud list of alumni as a result, others have built no relationship. Inimmune has looked to UM interns and graduates as it works to develop new drug therapies at its Missoula lab. At the same time, Evans said, upstart firms like his can’t often afford to bring in new graduates who have little training or experience. Evans joined others in urging UM to find ways to develop that talent earlier in a student’s academic career. Students would get a jump on their future, and companies would get an experienced employee. Developing that talent could come in many forms, whether it’s connecting with prospects still in high school or creating ways for UM students to work at local firms as part of their education. 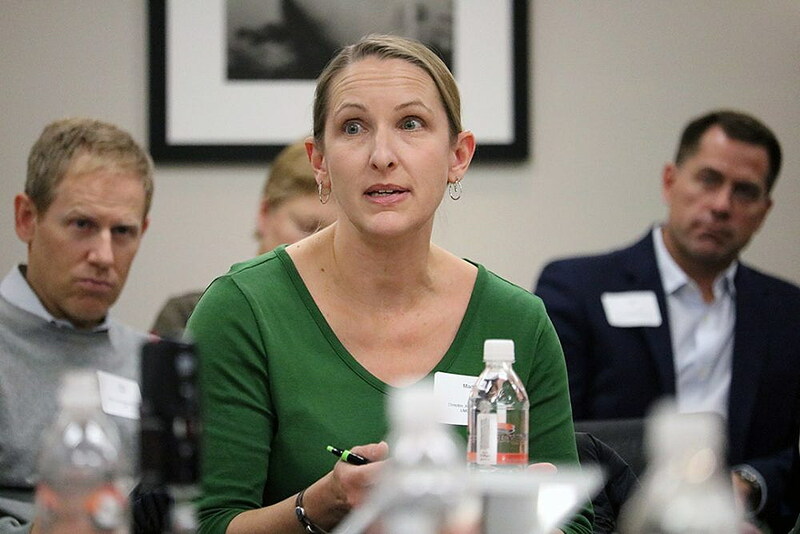 Kelly Schwager, vice president of global communications for Oracle, said training across disciplines – and outside the classroom – could be a win-win for students and the business community. Laura Marshall, vice president of human resources and community relations with Blackfoot, agreed. She too spoke from personal experience. Provost Jon Harbor also believes more can be done to share the stories of successful students. As local tech companies pluck UM’s best and brightest graduates, their success could be used to recruit new students with similar interests. Surveys conducted by the High Tech Business Alliance asked companies what skills and positions were most in demand. Computer science and programming topped the list. Henderson the state’s tech firms struggle to fill such jobs with local talent, prompting them to recruit workers from outside the state. Harbor said UM could invest more in such areas of study.